Free shipping. Buy direct from HP. See customer reviews and comparisons for the HP EliteBook 840 G5 Notebook PC - Customizable. Upgrades and savings on select products. Introduce the epitome of style and performance into your work routine with a feature-packed computer designed to get you through your day. The HP EliteBook 840 G5 is a cutting-edge notebook that stands up to the demands of modern working conditions by providing exceptional collaborative tools, portability, security, and power. Get professional results and stay ahead with a laptop engineered to keep up with even the busiest project load. We believe that a work computer doesn’t have to be dull and utilitarian. Stand out from the crowd with a laptop that makes a bold statement in any conference room, office space, or on-the-go. An HP EliteBook Notebook PC sets the standard on professional style with a sleek, slim-line aluminum design engineered for portability and comfort. Looking great on the outside isn’t enough, though. The included 8th Generation Intel® Core™ i5 processor gives you the performance to run your daily operations effortlessly. 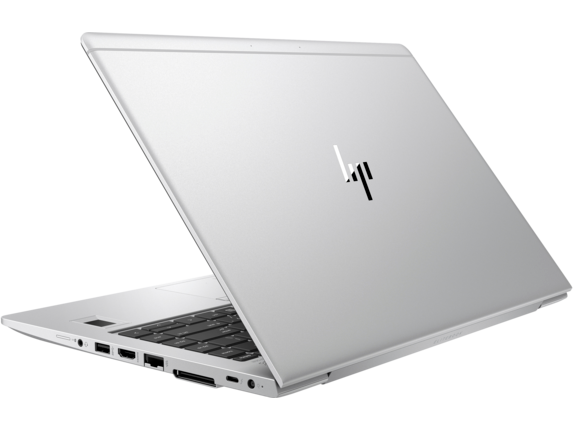 And features including HP Sure Start Gen4, HP Sure Click, and self-healing security protect your notebook from outside attacks. The HP EliteBook 840 G5 notebook also boasts a 14-inch Full High Definition (FHD) display and Intel® HD 620 Graphics to bring your work to life with stunning clarity. When it comes time to take a break from the grind, you can enjoy outstanding video quality and dynamic sound for the height of entertainment. Transform your conference calls and office communications with intuitive collaboration tools that make it easier than ever to stay in touch with clients and coworkers. The crystal-clear display of the HP EliteBook 840 G5 Notebook PC provides immersive quality when video conferencing while the advanced audio features, including HP Noise Cancellation, make sure you never miss a word or have to deal with miscommunication. Effortlessly expand the potential of your HP EliteBook 840 G5 with the HP USB-C Universal Dock when you need the added benefits of a conventional PC. You can power to up to two 4K displays or one 5K display, take advantage of additional USB ports, charge your accessories, and more. You can also upgrade your workstation with the HP Display and Notebook II Stand. In addition to seamlessly docking your notebook, you can hold up to a 24-inch display in a flexible, 360-degree mount that easily adjusts to your work preferences. Enjoy a notebook crafted to make your hectic workday run as smoothly as possible. The HP EliteBook 840 G5 gives you the power you need to tackle your to-do list in style with features optimized for effective communication, consistently high performance, and security to protect your work. HP® makes your office the pinnacle of efficiency and performance with this sleek, powerful work notebook.